May 1st, also known as May Day, or Primero de Mayo, is celebrated across the globe as International Workers Day. Precisely because this day commemorates the struggles of working people, this is one of only a few commemorations that spans across borders and touches all humanity. This is true because human labor continues to be the foundation of all material wealth on our planet, despite the global power of the capitalist class. 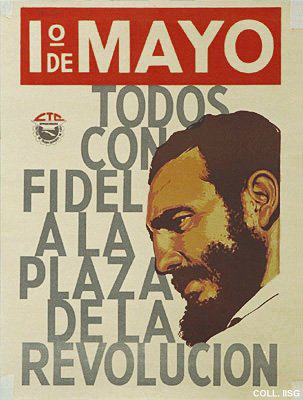 Every year on this day there are huge demonstrations, marches, and rallies throughout Nuestra América and the world. Unión del Barrio, in collaboration with sectors of organized labor, community groups and independent organizations, proudly forms part of this international day of action. We believe that only through an organized struggle based on working class interests can we alter the course of human history that has been imposed on us by a globalized ruling class. Individually, there is no way we can stand against the increasingly violent and exploitative attacks and repression unleashed by finance capital across the globe. The first May Day is recognized as having taken place in 1886 in the city of Chicago when workers mobilized around basic labor rights and against the repressive attacks of the local and federal governments. The struggles during that period were many, although workers demands focused on the long work hours imposed on people just to survive – 7 work days per week and 12, 14, 16-hour work days were common. “In 1884, the U.S. Federation of Organized Trade and Labor Unions had passed a law declaring that, as of May 1, 1886, an eight hour workday would be the full and legal workday for all U.S. workers… The owners refused. “On May 1, 1886, workers took to the streets in a general strike throughout the entire country to force the ruling class to recognize the eight-hour working day. Over 350,000 workers across the country directly participated in the general strike, with hundreds of thousands of workers joining the marches as best they could. “In what they would later call the Haymarket riots, during the continuing strike action on May third in Chicago, the heart of the U.S. labor movement, the Chicago police opened fire on the unarmed striking workers at the McCormick Reaper Works, killing six workers and wounding untold numbers. An uproar across the nation resounded against the government and its police brutality, with workers’ protest rallies and demonstrations throughout the nation set to assemble on the following day. “On May 4, Chicago members of the anarchist IWPA (International Working Peoples’ Association) organized a rally of several thousand workers at Haymarket Square to protest the continuing police brutality against striking workers on the South Side. As the last speaker finished his remarks that rainy evening, with only 200 of the most dedicated workers remaining at the rally, 180-armed police marched forward and demanded the workers to disperse. Then, deep within the police ranks, a bomb exploded, killing seven cops. The police opened fire on the unarmed workers – the number of workers wounded and killed by the cops is unknown to this day. Eight anarchists were arrested on charges of “inciting riot” and murder. The retaliation of the government was enormous in the days to follow, filling every newspaper with accusations, completely drowning the government murders and brutality of days past. “Eight workers were convicted as anarchists, were convicted of murder, and were convicted of inciting a riot. Only one of the eight men accused was present at the protest, and he was attempting to address the crowd when the bomb went off. In one of the greatest show trials in the history of the working-class movement, no evidence was ever produced to uphold the accusations, though all eight were convicted as guilty. 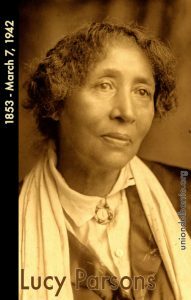 Four of the prisoners – Albert Parsons [then married to Lucy Parsons], August Spies, George Engel and Adolph Fisher – were executed, Louis Lingg committed suicide, and the three remaining were pardoned due to immense working class upheaval in 1893. “On May 1, 1890, in accordance with the decision of the Paris Congress (July 1889) of the Second International to commemorate the Haymarket martyrs, mass demonstrations and strikes were held throughout Europe and America. The workers put forward the demands for an 8-hour working day, better health conditions, and further demands set forth by the International Association of Workers. The red flag was here created as the symbol that would always remind us of the blood that the working-class has bled, and continues to bleed, under the oppressive reign of capitalism. Ironically, although the first May Day was in Chicago, within in the United States the official holiday for “labor” is celebrated the first Monday in September and is labeled “Labor Day.” A September “Labor Day” is a national holiday in the United States that marks the end of summer vacation, with hot dogs and beer more common than rallies and marchas. International Worker’s Day on the other hand has no official standing within the U.S. government. May 1st on the other hand, is a day of working class unity. International Worker’s Day is a celebration of working class consciousness and resistance. May Day points to the source of human power that not only has the capacity to change history, but overturn the collective madness that is modern capitalism: violence, environmental destruction, and incredible inequality throughout this world we belong to. Every May 1st represents the potential of coordinated resistance to the ruling class around the world. Our work ensures that food is readily available. Our work ensures that homes are constructed, cleaned and maintained. Our work cares for their elderly. Our work cares for the children of the wealthy before we take care of our own children. Our exploited labor is the basis of all economic growth in California, throughout Mexico, and beyond, and indirectly ensure the continued expansion of industries across the globe. Yet, everywhere our communities are criminalized by U.S. immigration policies that make it a crime to live and work. The U.S. government tears families apart using massive deportations as a policy of state terror intended to strike fear in our hearts. 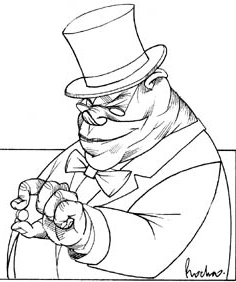 The ruling class prefers us to be docile as we work to maintain an elevated quality of life for those in power. 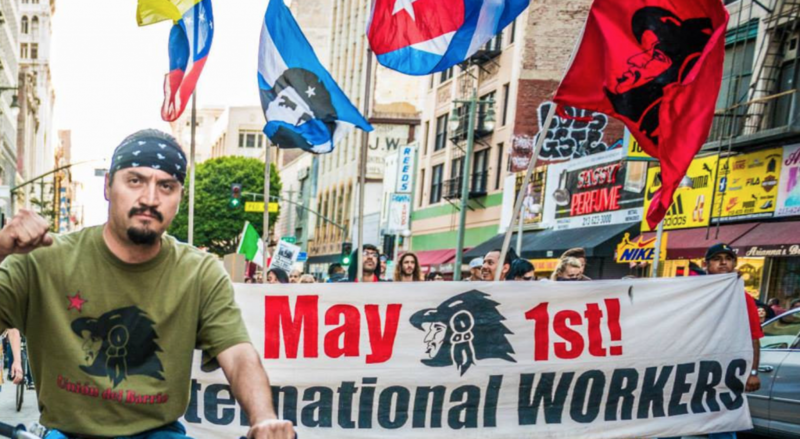 For these and many other reasons Unión del Barrio steps up every May 1st to help build class-consciousness among workers throughout Southern California. Every May Day we rally and march as part of a day of action to celebrate and defend our rights. 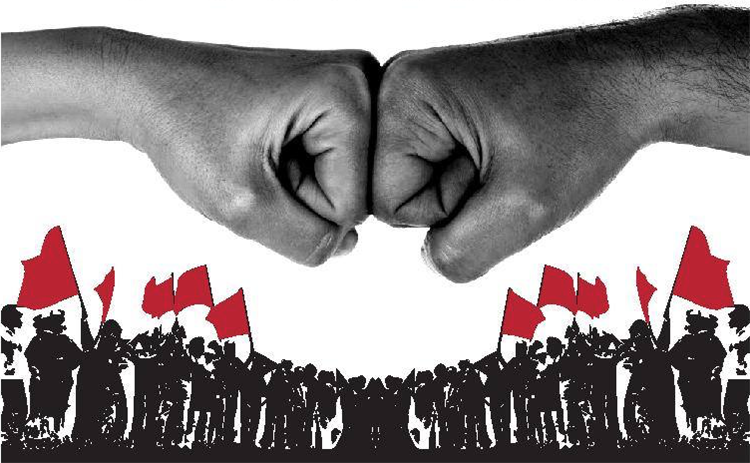 Let May Day, International Workers Day, be a day of Unity, Organization and Struggle! Help Put an End to Workers Exploitation! Organize and Participate! This entry was posted in 2018, Analysis, Event, Labor News & Events, Local Community News & Events, Los Angeles News & Events, North County SD News & Events, San Diego News & Events, Solidarity. Bookmark the permalink.